If I change objects in a group in a MUI window dynamically, and the window isn't active, the window doesn't get refreshed properly. The inactive window gets filled with the background color, and even its borders disappear. 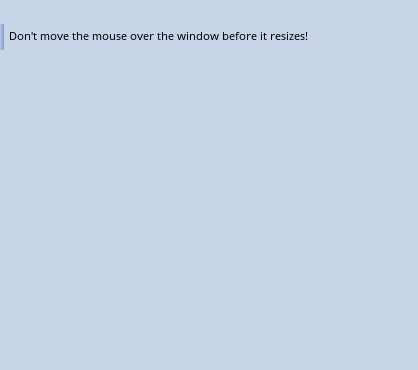 The window gets drawn properly only after I move the mouse over it, I don't have to activate it by clicking, but just move the mouse pointer over it. 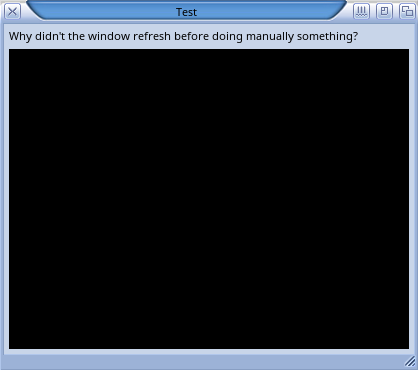 Here is a test program, which just displays one line of text initially, waits for 2 seconds, and adds an image object to the window after it. I can reproduce it only on MorphOS but not on AmigaOS 3 or 4. With AmigaOS window contents get refreshed properly immediately. Definitely a MorphOS MUI bug if you ask me... MUI Royale doesn't do such lowlevel stuff at all, it just calls the respective MUI functions.